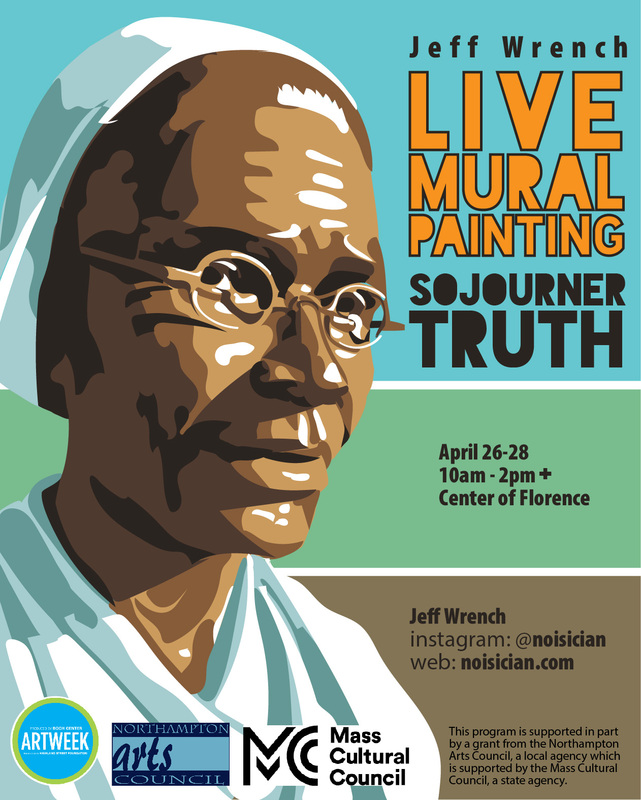 Northampton artist Jeff Wrench will paint a portrait of abolitionist, women's rights activist, and Florence resident Sojourner Truth on an electrical box at the center of town. Stop by to see the work in progress or talk to the artist. Recently, Jeff Wrench painted portraits of Emily Dickinson and Robert Frost at the center of Amherst. He is also known for painting colorful and sometimes semi-abstract portraits on paint chips and sheets of wallpaper. This event is supported in part by a grant from the Northampton Arts Council, a local agency which is supported by the Mass Cultural Council, a state agency.